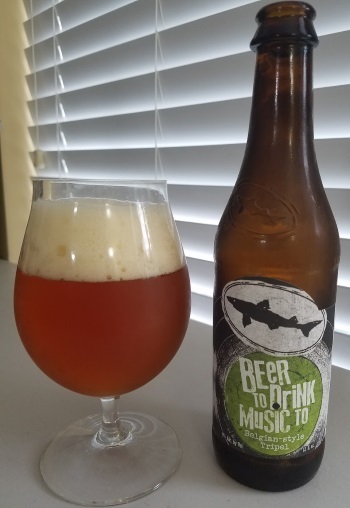 Beer To Drink Music To is a Belgian style Tripel from our good friends at Dogfish Head in Delaware. Dogfish Head is known for their off-centered ales, but there really isn’t a lot weird about this beer…It’s a fairly straight-forward, really nice Belgian Tripel. The nose is yeasty and fruity, with banana and fig notes, the middle is fruity and spicy with some pepper and apricot, and there’s vanilla in the finish. This all makes for a really nice, solid example of the style. The body is medium to heavy, and the alcohol is a stout 9% ABV. This entry was posted in Reviews and tagged Ale, Belgian, Belgian Ale, Belgian Tripel, Delaware, Dogfish Head, Tripel on August 23, 2016 by Xander. 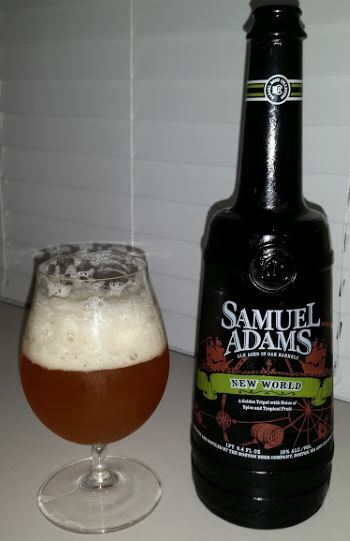 To start a short series on Samuel Adams Barrel Room Collection, tonight we have New World, a barrel aged, bottle conditioned golden Belgian Tripel. To give it additional earthiness, some Samuel Adams Kosmic Mother Funk is blended in during finishing. This is not a Belgian beer in name only, or some far out interpretation of the style. Belgian yeast and traditional Belgian barrel aging processes have been used to turn out an authentic and well executed beer. The nose is yeasty with sweet and sour fruit. The middle is packed with apricot, mango, pineapple with a spicy backdrop. It fades to a rich buttery finish, with some of the vanilla from the oak starting to come forward. The promised sourness never really takes the stage. It isn’t entirely absent, but the sweetness and spice definitely dominate this ale. 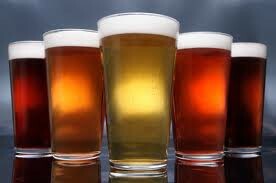 The body is medium to heavy, and the alcohol is a robust 10% ABV, which is to be expected from an aged ale. I love the Belgian styles and while this isn’t one of my all time favorites, it’s a very nice beer. This entry was posted in Reviews and tagged Ale, Belgian Ale, Belgian Tripel, Boston Beer Company, Massachusetts, Oak Aged, Samuel Adams, Tripel on January 16, 2015 by Xander. 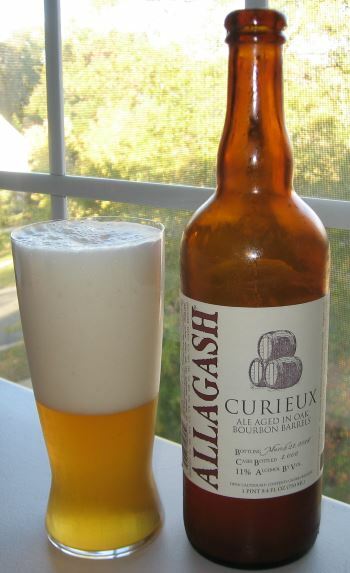 So Allagash is one of my new favorite breweries, and Curieux is a perfect example of why. They’ve started with an excellent-in-its-own-right Tripel Ale, and aged it to perfection in Jim Beam bourbon barrels, then blended with fresh Tripel Ale. Because of that last step, this is not one of the many bourbon barrel ales that come out of the process harsh and boozy, packing a punch but not a lot of sophistication. The nose is light and fruity with banana, peach, a hint of pineapple and vanilla. The middle has some heat from the copious alcohol (this beer is 11% ABV) and notes of coconut, banana, and papaya. The finish has a spicy pepper bite that mellows into a soft vanilla on the back of the tongue. This is a medium weight beer, so the body is not particularly heavy but it’s still advisable to use a snifter or other glass that will allow you to appreciate a smaller pour due to the 11% ABV alcohol level. This is an amazing beer, and it’s available year-round, so if you can find Allagash in your area, look for this one. This entry was posted in Reviews and tagged Ale, Allagash, Bourbon Barrel Aged, Maine, Oak Aged, Tripel on November 11, 2014 by Xander. 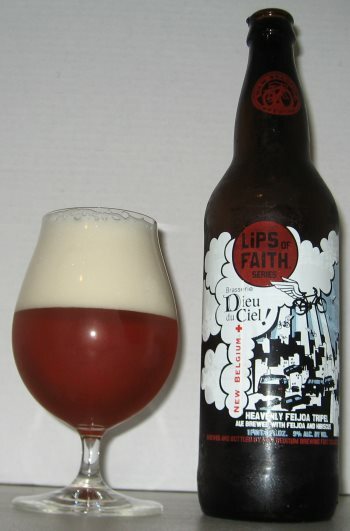 Heavenly Feijoa is a delicious Belgian Tripel from New Belgium Brewing’s extra special Lips of Faith series, and it’s brewed with feijoa and hibiscus for a unique flavor. The nose is yeasty and distinctively Belgian. The middle is super tart and fruity, with notes of pineapple, cranberry, and peaches. The finish is still tart, but a strong herbal note comes forward as well. The body is quite heavy, and the alcohol is very subdued, though it’s quite a big beer at 9.4% ABV. It’s definitely strongly fruity, but I like it a lot. This entry was posted in Reviews and tagged Belgian, Belgian Tripel, Colorado, Fruit Beer, New Belgium, Tripel on August 20, 2013 by Xander. I’ve previously reviewed several of Chimay’s other offerings, but the tripel is by far the hardest to find (and to find in good condition) so I’m happy that I’m finally getting a chance to report on it. 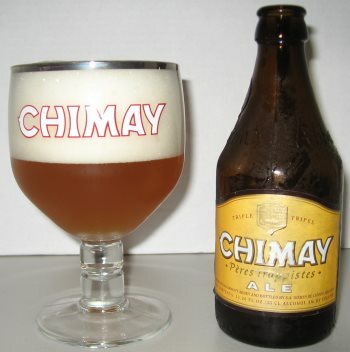 I love Belgians, I love Chimay, and this is no exception. As a Tripel, it’s not as big and heavy and fruity as my favorite Chimay, Grande Réserve, which is a strong dark ale, but it’s still no lightweight. The nose is full of yeast and sweet pears. The middle is tart oranges and more lovely delicate pear. The finish is heavy, syrupy, and a bit boozy with some oaky bitterness right at very end. This is a marvelous, delicious treat, fruity and complex and a brilliant example of the style. One of my favorites for sure. This entry was posted in Reviews and tagged Belgian, Belgium, Chimay, Tripel on July 2, 2013 by Xander.